Mars Hill Cycling is pleased to announce Hunter Resek’s addition to our men’s A roster for this fall. 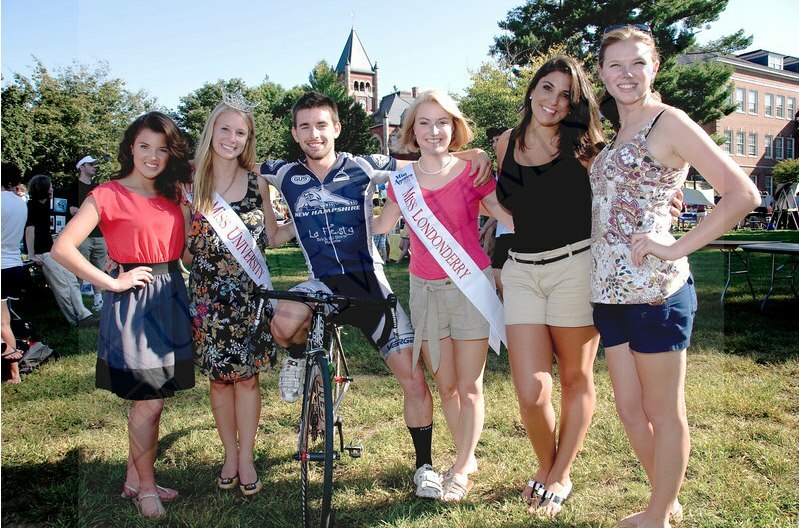 Taking a break with fans while racing for UNH. Hunter is from East Dover, VT, and will transfer from the University of New Hampshire. A former top 10 alpine skier in the nation in slalom, giant slalom, super-G, and downhill, Hunter switched sports to cycling in the fall of 2010 after attending Stratton Mountain School, one of the best high school ski academies in the nation. Competing with the UNH collegiate cycling team, he upgraded from category D to A in one year while racing in the Eastern Collegiate Cycling Conference. Hunter also gained valuable experience racing for longtime elite/development team CCB Racing. Long and hilly races are Hunter’s specialty, and he’ll get plenty of training opportunities on the extensive network of mountain roads near Mars Hill. Hunter will compete for Mars Hill in road, cross, mtb, and perhaps track. Welcome to the team, Hunter! 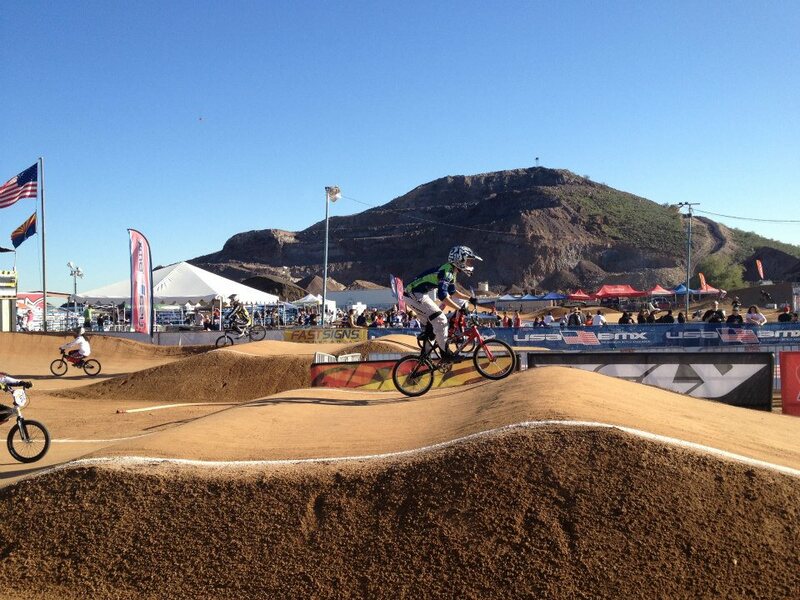 The entire point of traveling to Phoenix was to compete at USA BMX Nationals. 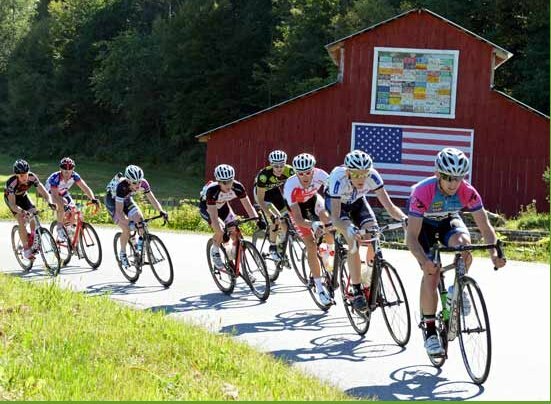 USA Cycling was holding the collegiate nationals as a part of the larger event which attracted racers from pros, Olympians, and World Cup winners from all over the world to kids who could barely walk! The kids competing were the true stars however! 5 and 7 year olds racing with mad skills and heart! It was inspiring! We arrived early on Saturday to meet up with Alan who was there with his Supercross team. They opened their compound to us for the day and even provided Logan with a bike to race. It was great having someone who knew the culture, method and way that things go down at BMX races! Aside from the multitude of spectators and racers of all ages, BMX takes all day! It’s not like other cycling races in that you have your race time, show up, warm up, race and cool down. At BMX you run 3 qualifying motos before moving to the next round. 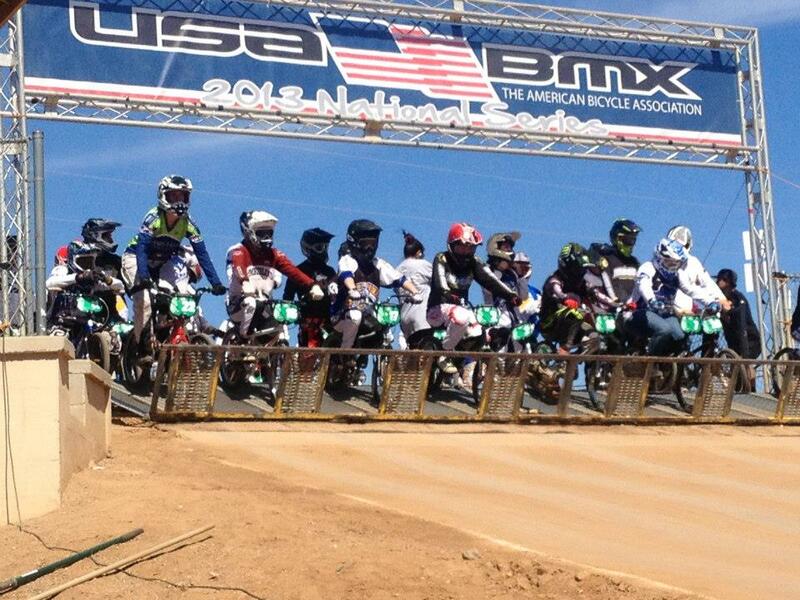 At Nationals there were over 350 motos, making for a long wait between each run. Definitely a little different! I was still a little wary of the start due to my near wipe-out during practice the day before. My slow starts definitely hurt my runs, but I was able to improve them a little over the course of the day. Unfortunately, I didn’t make it past semi-finals, coming in 21st in collegiate women. Alan made it through his qualifying moto’s of course and made it to finals! It was impressive watching the pro’s race! They went hard, flying through the rhythm sections, getting air over table tops, and sometimes wrecking! There’s a reason BMX’rs wear full face helmets and moto pants! Alan raced hard too, but got caught up in some messy lines, coming in 7th over all. As a team, we made it to 6th, just out of podium. It’s disappointing being so close to medaling the first time we went to BMX Nationals, but I’m proud of the work we did with extremely limited practice and experience. This trip was bittersweet for me. As a senior, I’ll be graduating in May. 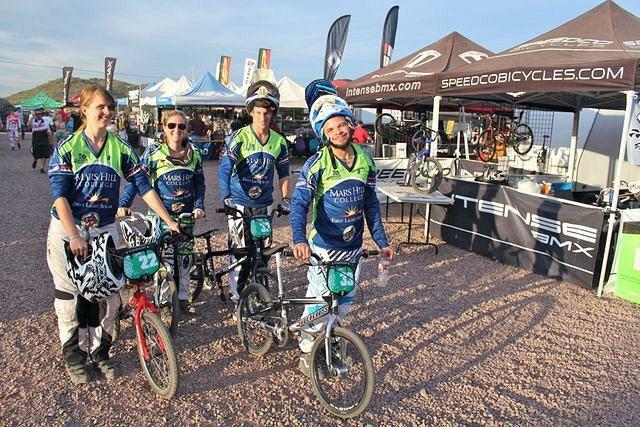 While I’m continuing my education, it won’t be at Mars Hill and I won’t be on this amazing cycling team. I’m sad that I won’t be able to grow and develop my cycling skills so I can return to BMX Nationals next year, when I’m sure the next amazing Mars Hill Cycling BMX team will medal!